“La mia pasione!” This is what my Nonna says every time I mention the word cipolline. 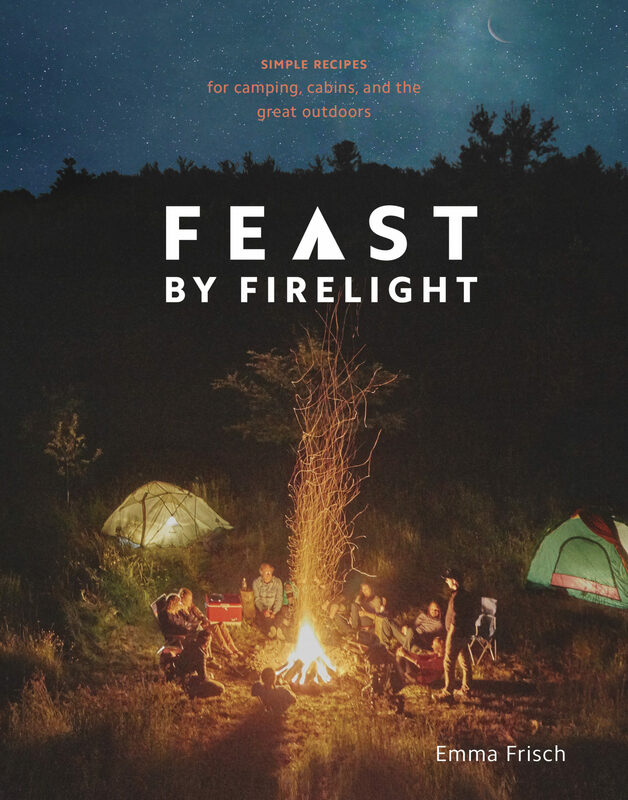 Which is every time I eat with her – it is the centerpiece of our meal, almost without fail. When my Nonna meets someone new she is more interested in their astrological sign than their name. I am as certain of being a water hog as I am an identical twin. In fact, Nonna claims to be an alien. Not the illegal kind of course; Mamma sorted out her green card nearly twenty years ago when Nonna moved “permanently” to the U.S. from the rural flanks of London. She landed there in 1946, whisked away from a lifetime of Venetian pastas and pizzas to marry my grandfather Nonno Gerry, who was serving with the British Army in World War II. Nonna spent each winter in her fourth and most beloved home, the shores of Goa, India. When I went to visit her there, I quickly surmised that it wasn’t the unspeakably beautiful colors and pungent spices, the putrid cashew liquor, or even the throng of Italians that attracted her in the first place. It was the elephants. She can speak to them. (She is also a reincarnated Brahman woman.) The exotic tapestries draped around her Connecticut apartment are embroidered with the kind beasts, and finely carved totems of all stature stand regally on her shelves, welcoming the breeze of incense. For all my grandmother’s journeys on Earth and beyond, at age ninety Nonna has come full circle. 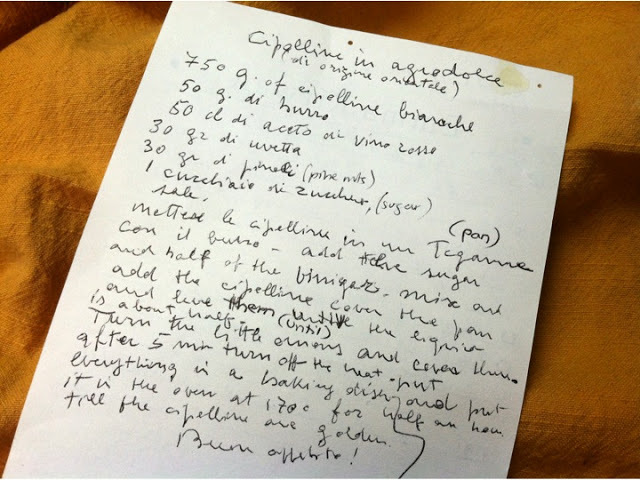 She pours over Venetian cookbooks, written in a dialect I wouldn’t pretend to decipher. When her Sicilian neighbor Mauricio leaves squash blossoms on her porch, she gets giddy and sizzles them in a light batter. 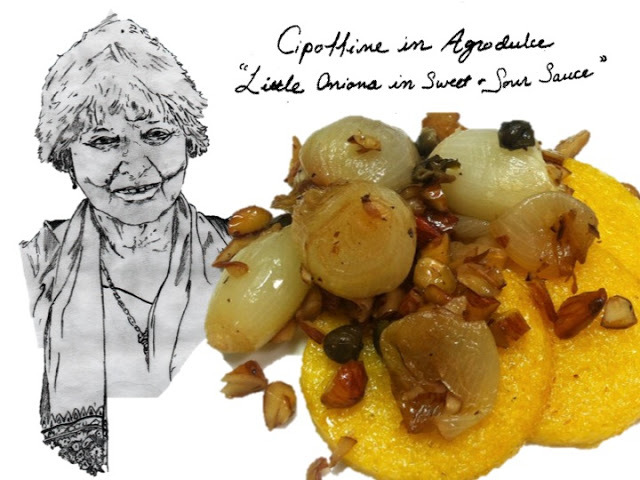 When I retreated to her home for a weekend sans technology screens, she finally translated her favorite recipe for me on paper: Cipolline in Agrodolce. 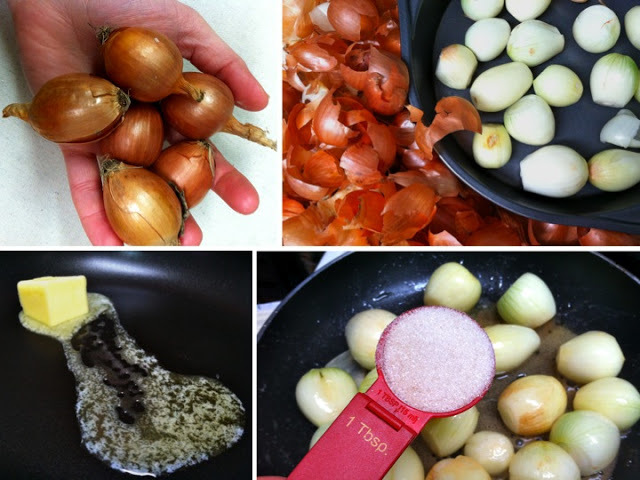 CIPOLLINE: So what are cipolline onions and how on earth do we find these precious pearls, bursting with sweetness? 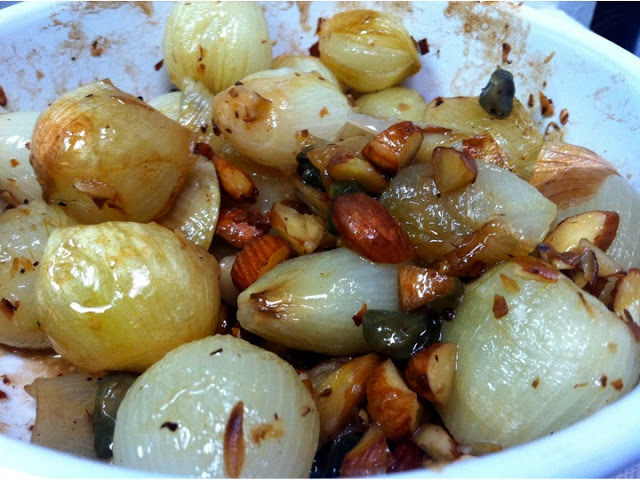 Cipolline onions will usually be labeled as exactly that: cipolline. They are small, saucer-like shapes and utterly sweet. 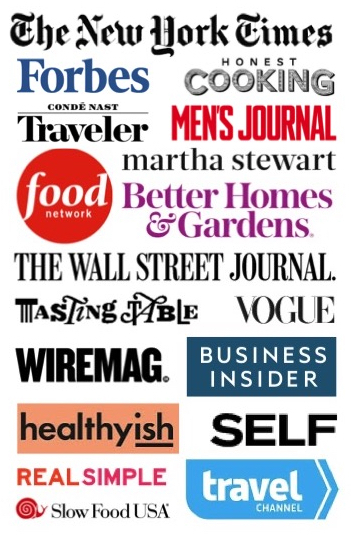 Your best bet for finding them will be at your large supermarket. According to the Environmental Working Group’s 2012 Shopper’s Guide to Pesticide in Produce, onions are the cleanest crop you can buy. Less than 1% of onions sampled contained pesticide residues. In other words, you don’t have to stick to organic or pesticide-free from your local farmer. If you can’t find cipolline, you can substitute them for pearl onions or a bag of the smallest sweet yellow onions you can find. This recipe is simple, like most great Italian dishes. The most obscure ingredient was capers. I could not find anything about harmful growing practices for capers; no mention of pesticides or fertilizers. These bush plants are perennials, which means they fruit every year for up to 20-30 years if cared for properly. 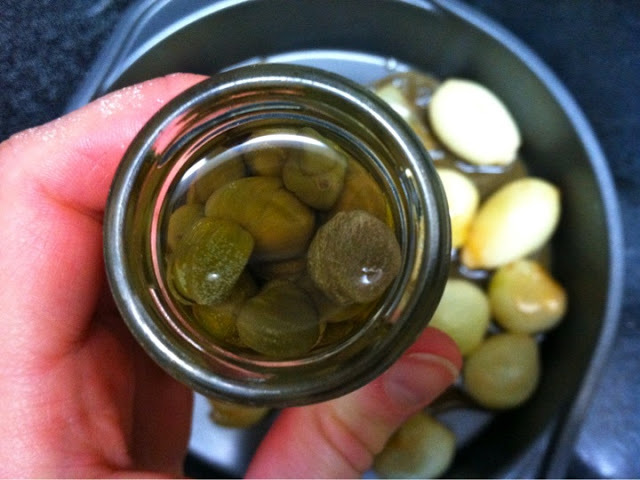 Your best bet to finding capers are in the Italian section of the grocery store or near the canned olives. They are almost always in a can or jar, packed in brine to preserve them. I always choose an Italian brand that contains no more than: capers, water, salt and vinegar. You can sometimes find capers and larger varieties in the olive bar section as well. Polenta is finely ground yellow or white cornmeal, and originates from the Latin word for “hulled” or “crushed” grain. Polenta originated from grain mush, commonly eaten in Roman times before corn was introduced to Europe from the New World. 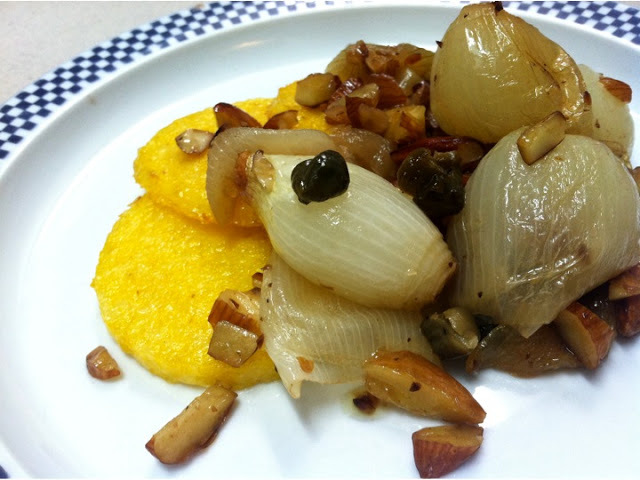 Polenta is commonly thought of as a peasant food, and can refer to the ingredient itself or a dish cooked with polenta. My favorite polenta is cooked with wild mushrooms from the forests of the Dolomites. What nostalgia and grumbling belly just entertaining that memory! 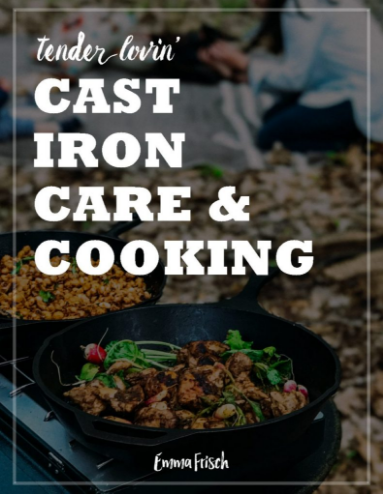 It is a fantastic and quick base for meals. Cooking polenta from scratch requires more time slow-cooking the grain in water or stock; however, it can be left unattended most of the time like rice. You can also find instant or ready to heat n’ eat polenta which can be a savior when you are short on time or out of other grain options. Here are good options for buying dry polenta. 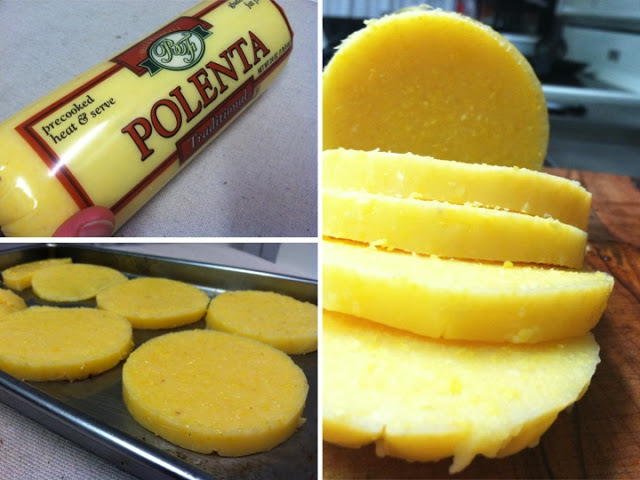 Here are some of the pros and cons of instant polenta and polenta in a tube. Again, I shoot for an Italian brand in the latter case. Nonna’s recipe notes have been pinned to my wall for months. When I finally freed the recipe from the plaster, I had trouble deciphering her words and converting from grams and Celsius. So instead I gathered inspiration from the ingredient list, the general gist from the instructions and conjured memories of her movements in the kitchen. 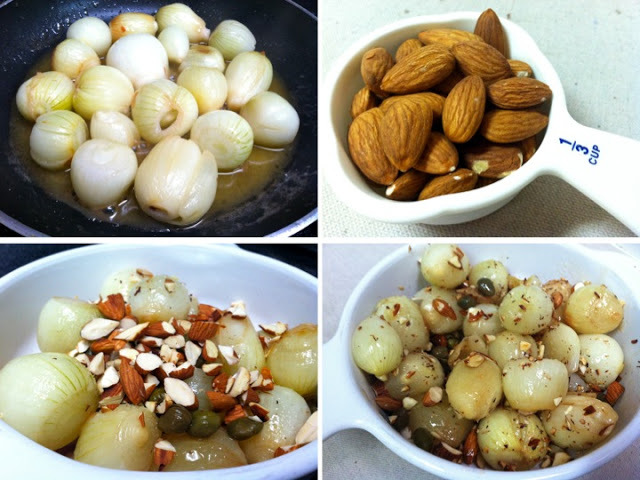 Here are a few of my alterations: I was low on red wine vinegar, but apple cider vinegar was a gorgeous replacement; pine nuts are exorbitantly priced at every supermarket, so I swapped this Italian staple for almonds; instead of using the "cipolline" onion variety (see below), I used up the last tiny onions from our CSA. The rest is history. Nonna would be proud! Melt the butter in a saucepan over medium-high heat. Add the onions and gently shake the pan to coat them with butter. Let the butter begin to froth and then add the vinegar and sugar. Roll the onions around the pan, mixing the liquid and melting the sugar. Cover the pan with a lid and simmer the onions for about 10 minutes until the liquid reduces to about half and the outer edges of the onions begin to brown. 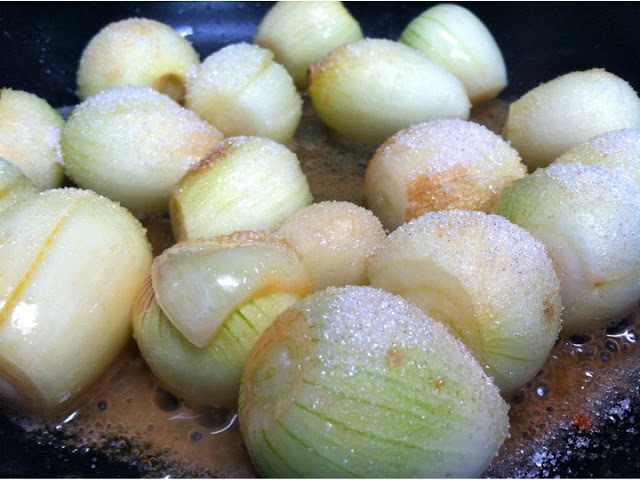 Transfer the onions to a small baking dish. Toss in the capers, almonds and sea salt. Bake the onions for 45 minutes or until golden brown.